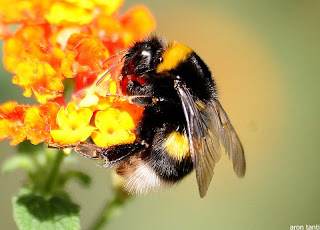 Animal Wildlife | Bumble Bee | The bumble bee is the most common type of bee with around 250 different species of bumble bee found around the world. 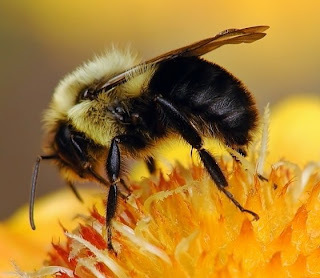 Despite the fact that the bumble bee can be found in many countries, it is indigenous to the Northern Hemisphere, breeding more successfully in the more temperate climates. 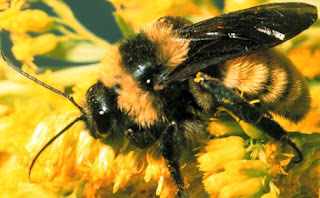 The bumble bee is best known for having a sting on it's tail, which the bumble bee uses to protect itself from danger. Once the bumble bee has stung something with it's sting, the sting breaks off and the bumble bee generally dies. Despite common belief, not every bumble bee has a sting, in fact the male bumble bees (known as drones) do not have a sting at all. Only the female bumble bee has a sting on it's tail. One of the main causes in the decline of the bumble bee populations is the fact that the places where the bumble bees nest are being disturbed often destroying the bumble bee's nest in the process. The bumble bee is a herbivorous animal feeding primarily on nectar. 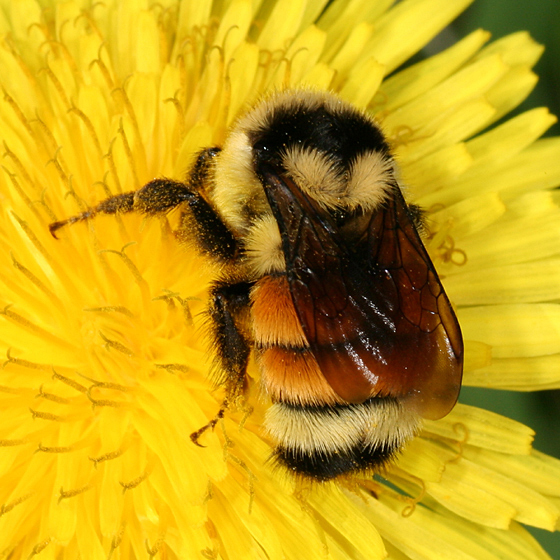 Bumble bees also eat pollen and honey when there is no nectar available. Bumble bees have numerous natural predators including birds, larger insects and amphibians such as frogs and newts. The queen bumble bee is the one who lays the eggs. She lays her eggs in a round-shaped mound that she then seals with wax. 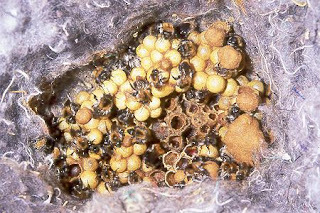 When the baby bumbles bees (larvae) hatch they are forced to eat their way out of their sealed dome. 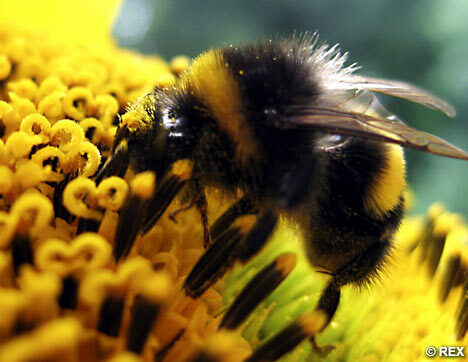 Bumble bees are known to play a valuable part in the eco-stem as around 1/3 of what humans eat is pollinated by bees. It is estimated that around 80% of the world's crop species are dependent on the pollination by bees to survive. Sadly due to high pollution levels and habitat loss, the bumble bee populations are rapidly declining with the bumble bee being one of the few insects that is classed as being threatened with extinction. Human beings do not give bees the respect they deserve, as bumble bees are vital to the survival of plants which are in turn vital to the survival of humans. 0 Response to "Bumble Bee"